I've been using Microsoft's Paint software that comes standard with Windows a lot recently to work with screenshots and other image files. Usually, Paint has just enough functionality to work with screenshots, but occasionally Paint is missing a function that I wanted to perform. 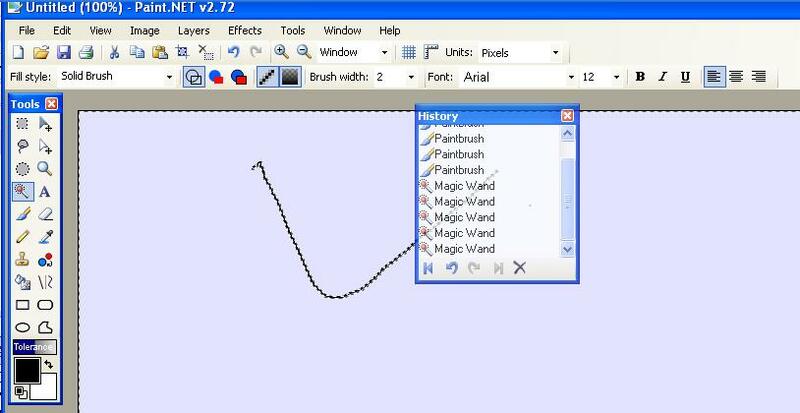 Paint.NET is an improved version MS Paint that actually started as an undergraduate project mentored by Microsoft. It's a good piece of software if you don't want something as heavy as Photoshop, but more powerful than Paint. If you use Paint a lot, the interface should very familiar. It's open source and free. You can also do some elementary photo manipulation like blurring, sharpening, red-eye removal, distortion, and embossing among other features. My favorite function is the History box where you can play back and forth the manipulations that have been performed on the image. It's very useful since you can pinpoint the exact action in the sequence of manipulations that you want to undo.